Full range of seals for steel and PP strapping including snap on opened flange, PP & wire buckles and metal & plastic corner edge protectors. We have a huge range of seals for steel & PP strapping including snap-on open flanged, thread-on closed flange, knock-down buckle seals and special purpose seals. ST Thread-on for VH33ST pneumatic strapper. XSOL Snap-on suits No21C crimper. SS Stainless steel knock-down buckle for Spinnox-B. PP injection moulded polypropylene for lightweight packaging. No tools required. Available to suit 12mm, 15.5mm and 19mm PP strapping. 1000 per pack. 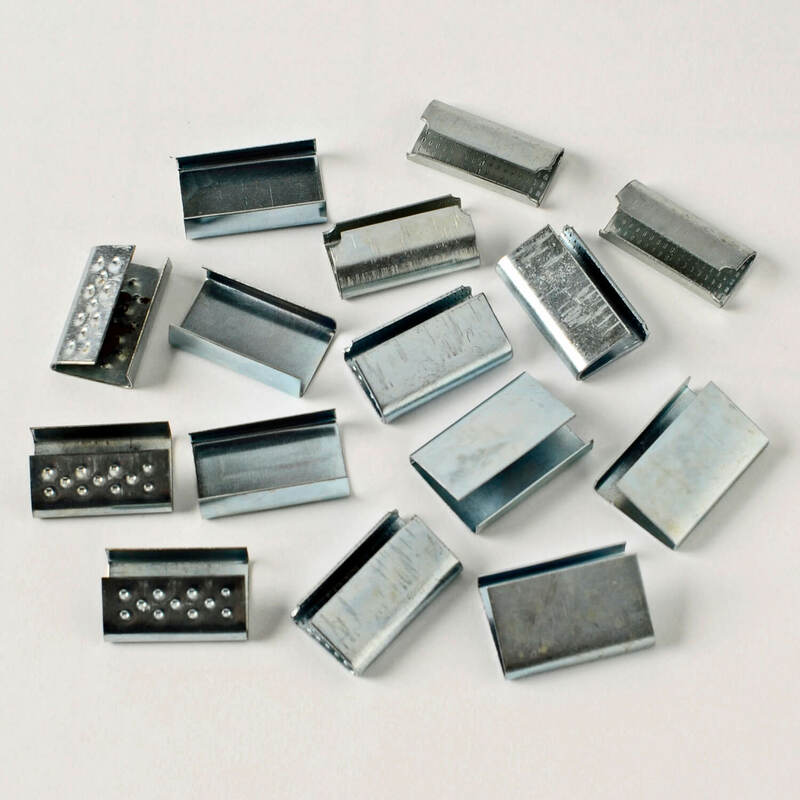 Wire buckles for medium weight packaging. No tools required but can be used with Venhart tensioners. Available to suit 12mm, 15.5mm and 19mm strapping. 10,000 per carton. Galvanised finish. 12mm (2.5 - 2.77 wire); 15.5mm (2.74 - 3.28mm wire); 19mm (2.7mm - 3.25mm wire). 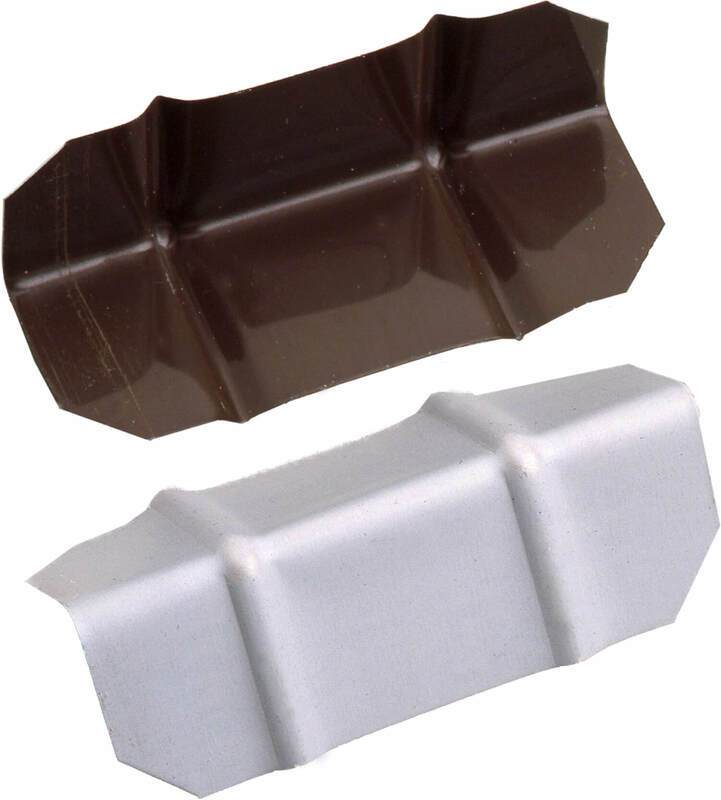 Corner edge protectors (pictured in plastic) stabilise pallet loads and prevents strapping from damaging cartons. Black plastic: Small 25mm x 25mm x 33mm wide. 2,000 per 5.8kg box; Medium: 35mm x 35mm x40mm wide for strap up to 30mm wide. 1,000 per 5kg box; Large: 50mm x 50mm x 58mm wide for strap up to 20mm wide. 1,000 per 8.7kg box. Metal: Zinc coated. 19mm x19mm x 55mm wide for strap up to 20mm wide. 2,000 per box; Weight: 20.5kg.